Lake Akan is famous for is marimo moss balls and is surrounded by untouched nature. 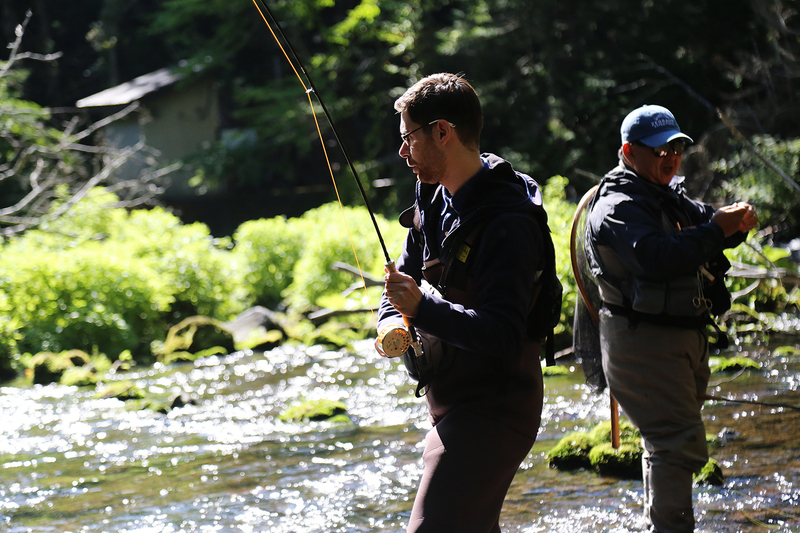 It's also home to an abundance of native trout species, making it a beloved spot for fly fishing and lure fishing enthusiasts. Fishing is banned until April 30 each year to protect the fish population, but the period from May 1 until autumn is an angler's paradise! Even beginners will find it easy to catch rainbow trout, Japanese char and kokanee in Lake Akan. Be aware that the area from the mouth of the Akan River at Lake Akan to the Yukan Bridge is a catch-and-release area - the first in Hokkaido (designated in 2003). 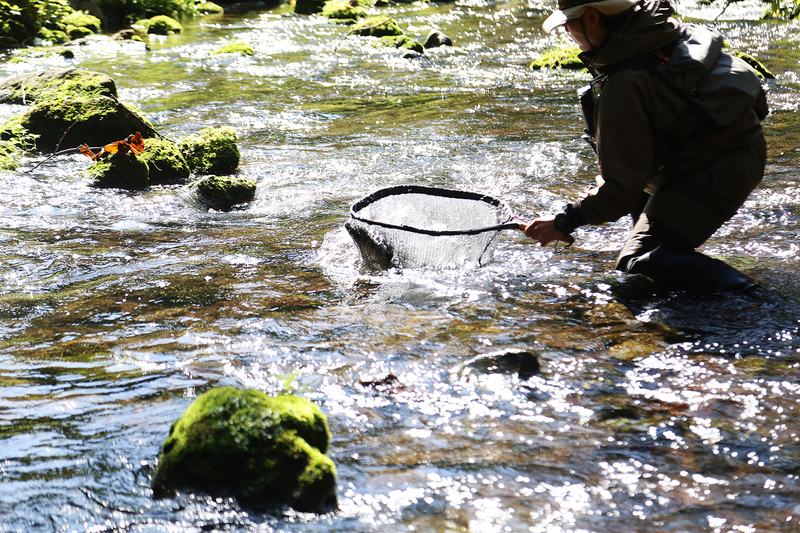 A recreational fishing charge of JPY1,500 per day applies (to be paid in advance). 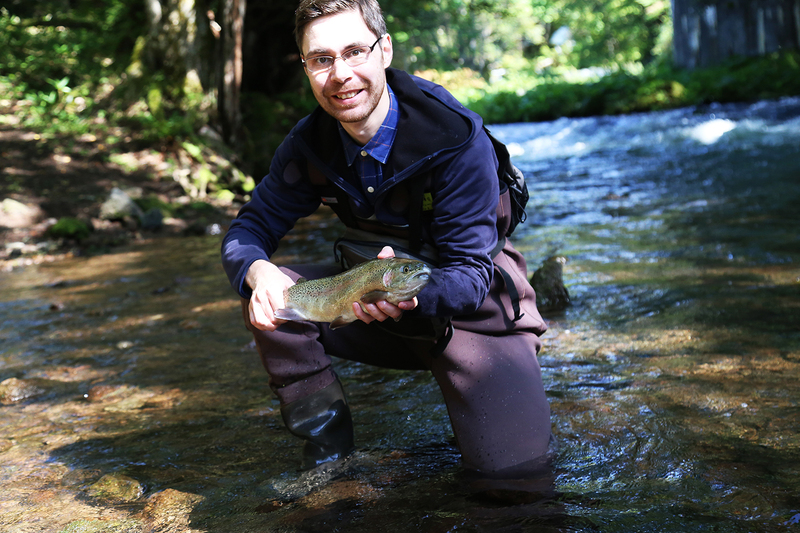 Akan: A trout fishing paradise! 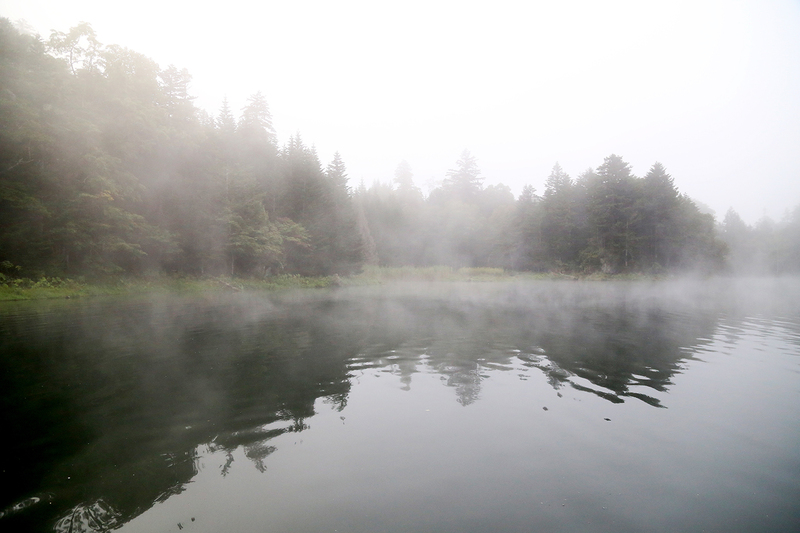 This nature-rich area with a lake and river is an enjoyable fishing spot for beginners and experts alike. 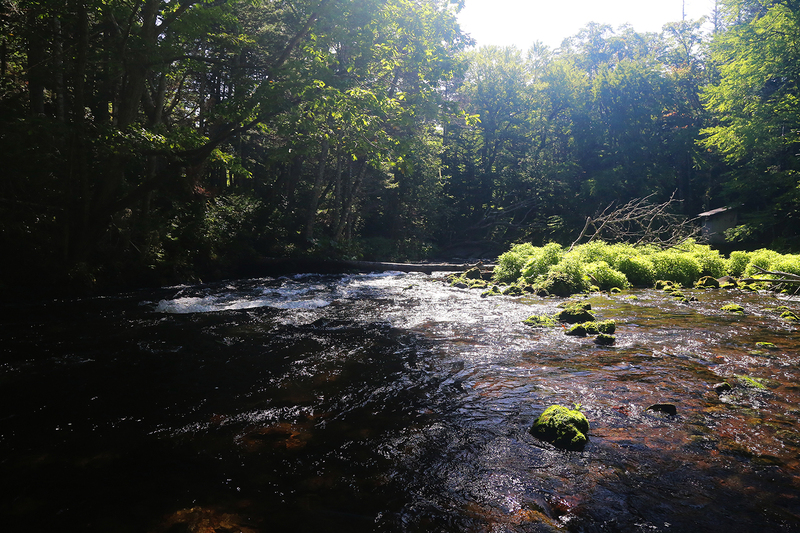 There aren’t many places where you can enjoy fishing surrounded by such ancient, abundant primeval forest. Fishing conditions vary depending on the weather and water temperature, but a guide who knows everything there is to know about the Akan area will show you the best fishing spot of the day and teach you the right technique. Shigeru Takada is a guide at Lake Akan Tsuruga Adventure Base SIRI. 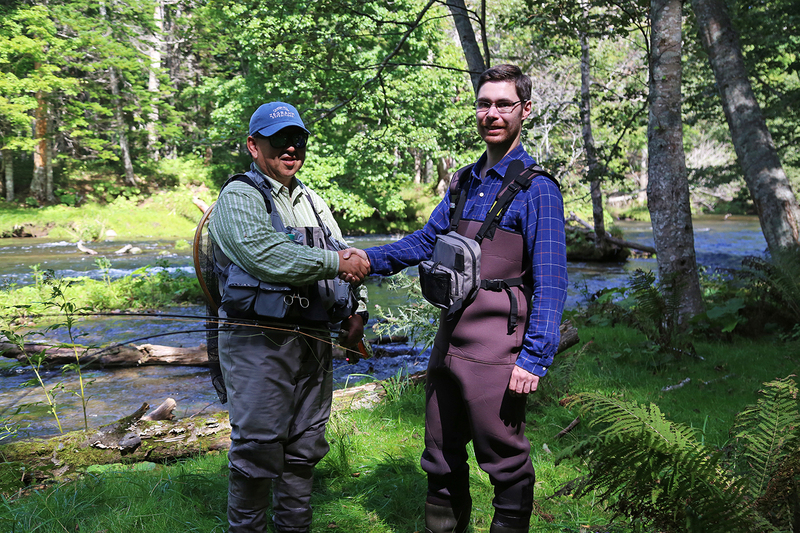 He is Akan’s most knowledgeable fishing guide and knows the area inside out – you can count on him to show you the best spots for each season! Other qualifications: Forest guide with Maeda Ippoen Foundation, Walking Lifemeister with the Japan Nordic Walk League, Level 1 in the SAJ Ski Badge Test, Advanced Lifesaver.